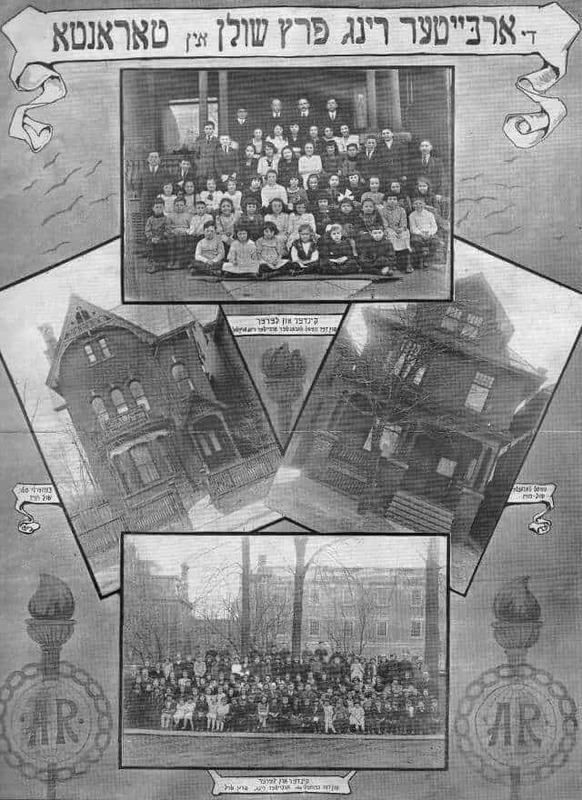 The Workmen's Circle was formalized in 1908 through the fraternal benefits charter granted by the National office in New York to the founders of branch 220. 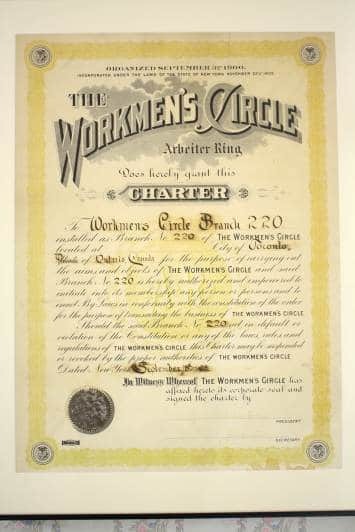 This charter is on display in the auditorium at 471 Lawrence Ave W.
In 1922, the National Executive of the Workmen's Circle held their biannual convention in Toronto, marking the first time this gathering was held outside of the U.S.A. The poster below is from the convention souvenir book and describes the two Toronto WC schools: on Beverly and on Mariah Streets. The WC school was originally called the "Nationaler Radicaler" school as its founders were aligned with the National Radical movement. The name was changed to the A.R. 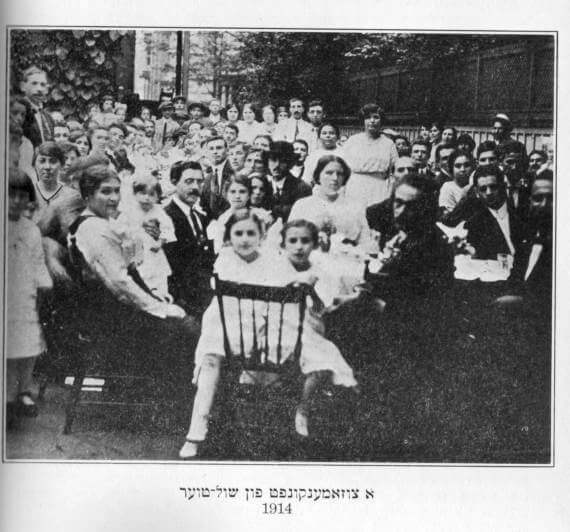 Peretz School in 1918. 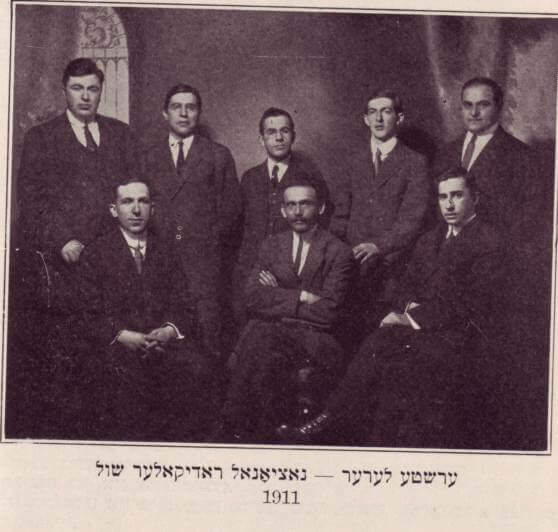 Founded in 1911, the Toronto Workmen's Circle School was one of the first Yiddish secular school in North America. In 1925 the Workmen's Circle established Camp Yungvelt as an extension to the school curriculum. Originally the camp was situated at Lake Wilcox, north of Toronto. In 1926 the camp moved to Pickering Ontario, where it remained until it closed in 1971. The camp logo below depicts a lake, hills and a wooded area, geographical points of interest which are completely alien to the landscape of Camp Yungvelt. In fact the scene below is of Lake Wilcox, not of Pickering, but for unknown reasons, this camp image was never changed.